Current and former US intelligence officials have expressed their bemusement at details of an alleged Russian spy ring uncovered by the FBI. Eleven "secret agents" have been arrested amid claims that the group have been operating undercover in the US for more than ten years. Russian officials have confirmed that some of the group were Russian citizens, but said that "they have not committed any actions directed against US interests." As the details of their double lives emerged, US intelligence experts voiced their amazement that the team had been allowed to work for so long and seemingly deliver so little. Frederick Hitz, former inspector general of the CIA, said that the suspected Russian operation was "nutty". "It just struck me as a throwback to the Cold War at a time when the Russians and the United States have so many forward-looking kinds of issues," he told the Washington Post. 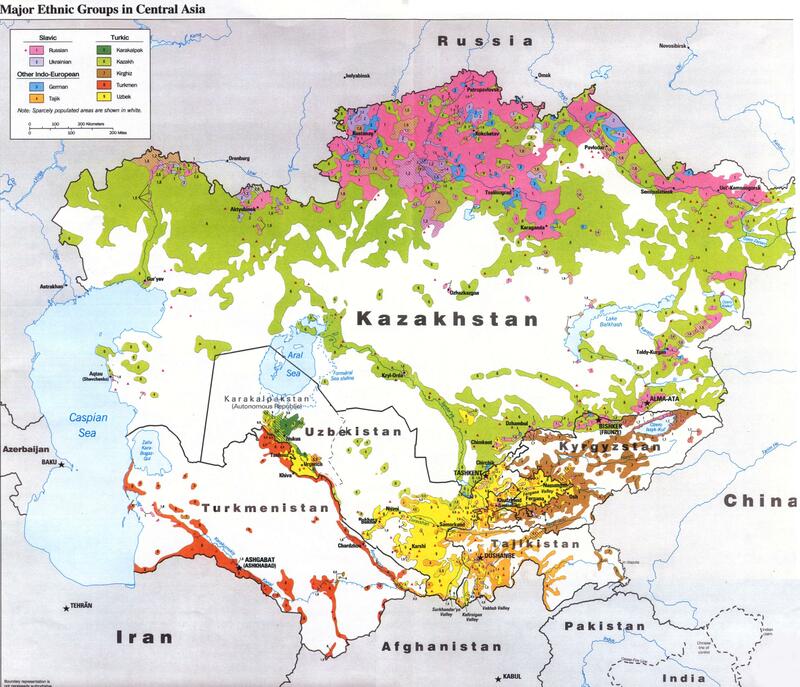 "It looks as if it got going at the end of the Soviet era and just continued, even though it wasn't clear what the immediate goals of these people were." Mark Lowenthal, a former senior CIA official, branded the operation "feckless". "So many of the things they seemed to be after you can find out by listening to the right radio station or reading the right newspaper... It doesn't say a lot about the smarts of the SVR [Russia's foreign intelligence service]." Even Russian experts were surprised by the methods employed by the team. "It sounds preposterous to me," Mikhail Lyubimov, a writer and former member of the SVR, told the paper. "We've never used illegals like this," he said, referring to spies posing as ordinary citizens instead of diplomats. "And it's a comedy to have 10 of them connected." Lebanese security arrested a newly uncovered Mossad agent (Charbel Q.) who had a sensitive post at “Alpha”, the Lebanese telecommunications sector company. The Lebanese authorities described the capture of the new Mossad agent as a big catch saying that we are in the vanguard of uncovering a very precious treasure in terms of the services and information which was provided during the past 14 years to the Israelis and the Mossad, including information that helped the Israeli army to identify their targets during the criminal war of 2006. Another Hollandese Mossad agent, Anneke Potter, served as executive director of the “Alpha” company. She escaped from Lebanon at the end of 2007 just a few hours before the implementation of the arrest warrant against her. 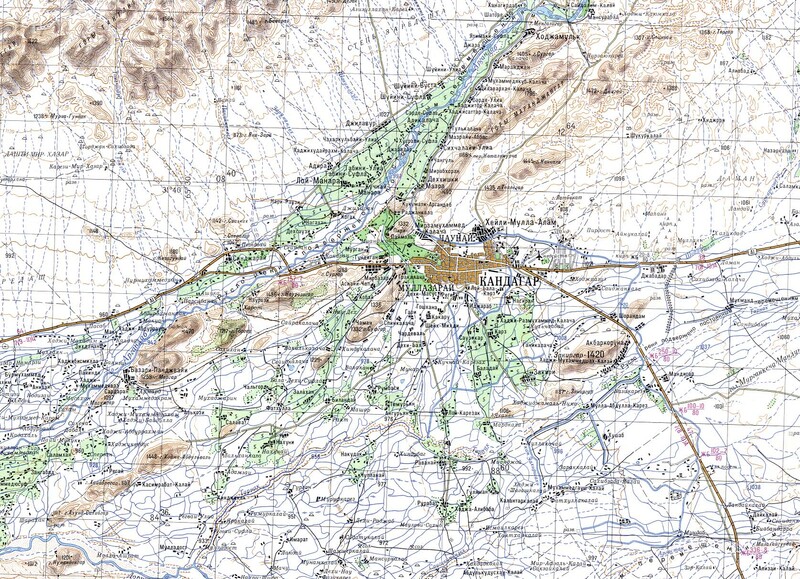 Mr. Charbel Q. was born in 1954 in Alma- Al-Shouf. In details revealed about the arrest of this Lebanese Mossad agent, the directorate of the intelligence of the Lebanese army, proceeding on preliminary information about him, monitored him and collected evidence about his collaborating with the Mossad, and Israel. In coordination between the intelligence assessment, the Attorney General and the Lebanese army commander, General Jean Kahwagi, decided to capture the spy (Charbel Q.). The spy (Charbel Q.) admitted his collaboration with Mossad and Israel since 1996. On Friday June 25 2010, the Lebanese Attorney General authorized the directorates of intelligence in the army to raid the building of “Alpha” company in the “Cheveroleh” in “Furn Al-Shabak”. They confiscated the computer of Charbel, some documents which were found in his office and other communication equipment which was found with him. The preliminary investigations showed that Charbel Q. enabled the Israeli enemy to enter the Cellular Communications Network and in wire-tapping and monitoring the people who they wanted to spy on during the July criminal war of 2006. Alpha Communications services was able to determine the whereabouts of any person carried on its communications lines throughout all of Lebanese territory, as well as giving access to the names, numbers, addresses, and biographies of the people. Charbel Q. allowed the Israelis access to all these services during the past 14 years. “Charbel Q.” was responsible for a particular section of the company (BTS). A section that all the communication passes through in the first phase in the company. It controlled more than 650 sending stations in the Lebanese regions and maintains their connections to each other. The preliminary investigations with Charbel, show that he planted technical equipment in all the stations of the company, through which he provided Israel with the working frequencies which are used in the stations. Through this theft, the Mossad and Israel were able to control all the processes from the cellular company’s Alpha. The investigators are trying to find out who “Charbel Q.’s” partners are. They are expecting that his arrest will lead to uncovering new spying network(s). Les services secrets de l'armée ont confirmé hier l'arrestation d'un technicien de l'opérateur de téléphonie mobile alfa, accusé de collaboration avec Israël. L'employé, appelé Charbel Q., né en 1954, natif de Almane, Chouf, a été écroué le 24 juin. Toujours selon le communiqué, il a avoué avoir collaboré avec le Mossad israélien depuis 1996. Il est soupçonné d'avoir surveillé, pour le compte de l'ennemi, certaines lignes durant la guerre de 2006, tout comme il était capable de neutraliser ou de faire fonctionner tout poste émetteur. Il pouvait faire de même pour la programmation des lignes, étant donné qu'il était un passage obligé pour toutes les opérations de communication de la compagnie, selon les informations divulguées. Actuellement, les autorités tentent de découvrir d'éventuels complices au collaborateur. Les experts estiment que le technicien d'alfa aurait pu constituer un réseau à lui tout seul ou faire partie d'un réseau plus étendu. C'est en coopérant avec une ou plusieurs autres personnes que Charbel aurait pu avoir accès aux écoutes et aux enregistrements. Le député du bloc du Hezbollah Hassan Fadlallah a tenu une conférence de presse à la place de l'étoile, siège du parlement afin de commenter les développements récents concernant l'espionnage israélien du réseau du réseau de télécommunications mobiles libanais et l'arrestation de l'espion libanais Charbel Qazzi. "L'agression israélienne du réseau de communications est une dangereuse violation de la sécurité nationale libanaise et porte atteinte à l’Etat et à toutes ses institutions", a souligné le député. "Au cours des dernières années, l'ennemi israélien a pu, grâce à cet espion, contrôler le réseau de télécommunications au niveau technique et porter atteinte à la sécurité nationale", a affirmé Fadlallah lors d'un point de presse au Parlement. "D'après les premiers éléments de l'enquête, l'ennemi contrôle désormais l'infrastructure des télécommunications", a-t-il ajouté, précisant que les appels des Libanais à travers ce réseau parviennent directement aux renseignements israéliens. Fadlallah a par la suite salué l'armée pour avoir arrêté l'espion; mais il a indiqué que les informations que ce dernier a transmis à l'ennemi sont d'un danger particulier et touchent au secteur économique libanais et à la dignité de chaque citoyen. Dans ce cadre, le député a lancé un appel au gouvernement pour prendre des mesures immédiates et déterminer les dégâts du secteur susmentionné pour y remédier. An alleged Israeli spy arrested by Lebanese Army Intelligence last week had access to the "most significant segment" of one of the only two mobile networks in Lebanon, an industry expert told Babylon & Beyond. The alleged spy, identified by officials as "Charbel Q," reportedly has confessed to working on behalf of the Israelis since 1996 and may have planted monitoring devices allowing the Israelis to tap directly into the Alfa network, one of the two major cellphone companies operating in Lebanon, according to local media reports (Arabic link). "There is evidence that the accused, Charbel Q., had ties to Israel," a spokesman for the army confirmed. "The investigation is ongoing, and when it finishes, the matter will be decided according to Lebanese law." According to one expert, the accused was a transmission officer responsible for maintaining crucial network stations, giving him access to "the most significant segment of the network from an intelligence perspective." Theoretically, the expert said, he could have planted devices that allowed the Israelis to eavesdrop on conversations and track people from their cellphones. "Mobile technology allows you to mix activities such as location, identification and interception, so it is not a surprise that foreign forces have tried to penetrate these networks," said Riad Bahsoun, an industry expert who works on behalf of the International Telecommunications Union. The case of Charbel Q has sparked anger and raised tough questions about the vulnerability of the Lebanese phone system and the government's culpability. When cellphone service first came to Lebanon in 1994, the two networks were divided between foreign companies and powerful Lebanese political families. Even after the networks became state property in 2003, the government continued to lease the rights to foreign companies, eliminating competition and oversight and leaving Lebanese customers with some of the highest-priced cellphone service in the world. In addition to being a favorite topic of complaint among ordinary Lebanese, the telecommunications sector is also a hot button among politicians. The militant group Hezbollah took up arms in 2008 to defend its terrestrial network, although Hezbollah members use the same mobile networks as the rest of the country. "If the Mossad really have targeted some users on the [Alfa] network, it means that these people most probably are Hezbollah people," Bahsoun said. "In hindsight, we can say that, yes, Hezbollah people and the resistance were right in building their own secure network, or I don’t know how [the resistance] would still be here." The arrest of Charbel Q is just the latest in a crackdown by authorities over the last two years that has yielded dozens of suspects and is thought to have dealt a significant blow to Israel's intelligence-gathering capabilities. 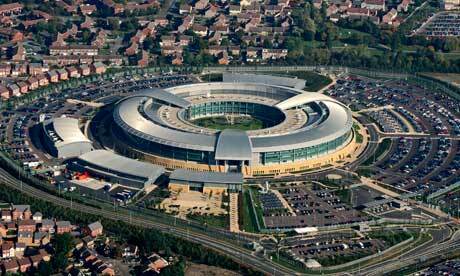 The GCHQ building in Cheltenham. The organisation did not officially exist until 1982. The terms of a secret agreement that became the core of the special relationship between Britain and the US are released today more than 60 years after the deal was signed by senior military officials. A six-page "British-US Communication Intelligence Agreement", known as BRUSA, later UKUSA, tied the two countries into a worldwide network of listening posts run by GCHQ, Britain's biggest spying organisation, and its US equivalent, the National Security Agency. Though its existence has long been known, the agreement, negotiated in London in March 1946, is only now being published, and for the first time officially acknowledged, after freedom of information requests in Britain and the US. Under the agreement, the countries agreed to exchange the knowledge from operations involving intercepting, decoding and translating foreign communications, including the "acquisition of communication documents and equipment". In a passage which ensured that GCHQ's activities remained wrapped in official secrecy, the agreement states: "It will be contrary to this agreement to reveal its existence to any third party whatever." Documents released – and available from today, and free for a month, at www.nationalarchives.gov.uk/ukusa – include amendments and annexes to the agreement. One, dated 1948, states: "The value of Communication Intelligence in war and peace cannot be over-estimated; conservation of the source is of special importance." It adds: "The time limit for the safeguarding of Communication Intelligence never expires." The documents emphasise the importance of individuals with access to this information – now know as "sigint", short for signals intelligence – to be indoctrinated about its sensitivity and the need for it to be protected. No one who knew about these intelligence gathering methods "shall be committed to a hazardous undertaking which might subject him to capture by the enemy or third party", one document says. GCHQ's cover was blown by Time Out in 1976, but it was only officially "avowed" in 1982 when Geoffrey Prime, a former linguist at GCHQ, was jailed for 38 years for passing secrets to the Russians over a 14-year period. He was released in 2001. Many documents have been weeded out of the GCHQ files to be released today. They include an appendix on the "designation of intercept targets" and another on "collaboration in the field". 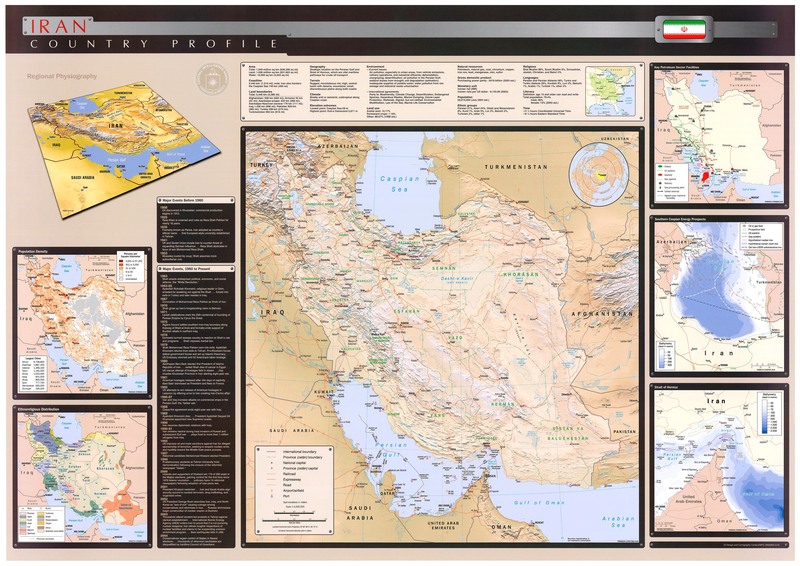 Also missing is a document titled: "Arrangements for emergency location of Comint (Communication Intelligence) units". A GCHQ spokesman said last night: "The 1946 UKUSA agreement formed the basis for co-operation between the two countries throughout the cold war and continues to be essential in keeping the UK safe from today's threats." Ed Hampshire, a senior records specialist at the National Archives, said: "The agreement represented a crucial moment in the development of the 'special relationship' between the two wartime allies and captured the spirit and practice of the signals intelligence co-operation which had evolved on an ad-hoc basis during the second world war." He added: "As the threat posed by Nazi Germany was replaced by a new one in the east, the agreement formed the basis for intelligence co-operation during the cold war. 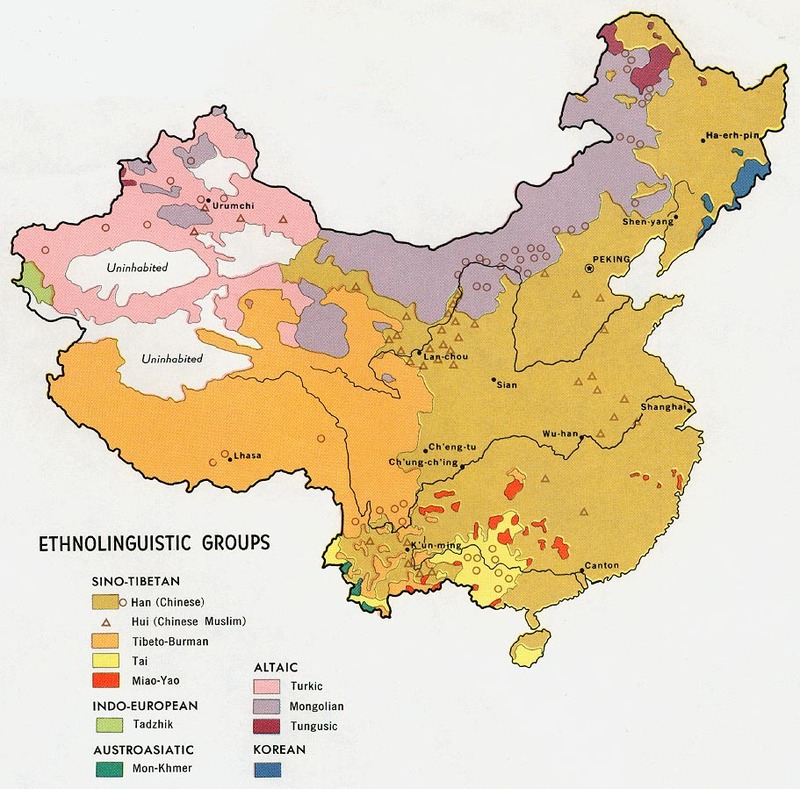 The two nations – linked by common bonds of history, culture and language – agreed not to collect intelligence against each other or to tell any 'third party' about the existence of the agreement." The UKUSA agreement was later extended to include Canada in 1948, and Australia and New Zealand in 1956. According to the intelligence historian, Richard Aldrich, the British tried to use the Commonwealth as an "equalizer", summoning the Canadians and the Australians to a London signals intelligence summit before meeting the Americans, Shortly afterwards, Stewart Menzies, the head of MI6, met an American team led by Joseph Wenger at Bryanston Square in London to work on a bilateral deal. "When negotiations became sticky, Menzies whisked everyone off to White's Club for a bibulous lunch and – suitably refreshed – they resolved their differences", says Aldrich. 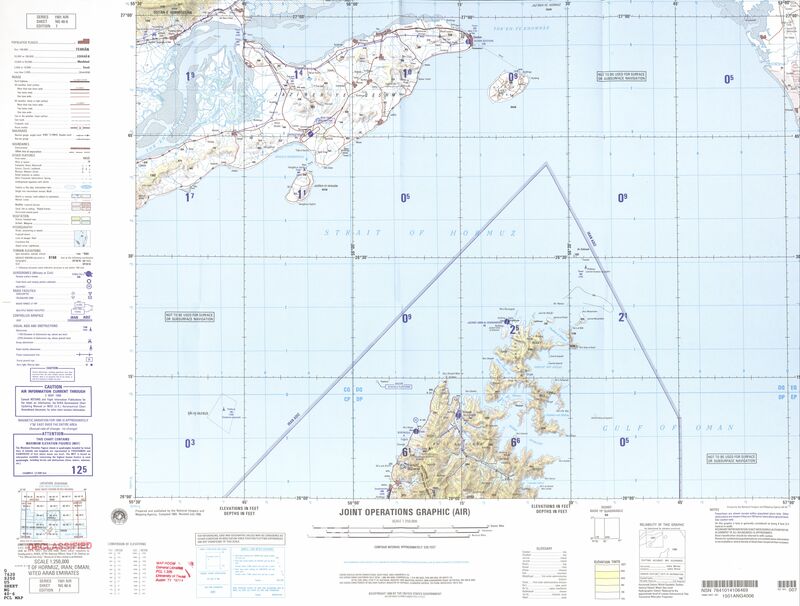 The agreement was signed on 5 March 1946 by Colonel Patrick Marr-Johnson on behalf of the UK's London Signals Intelligence Board and Lieutenant General Hoyt Vandenberg for the US State-Army-Navy Communication Intelligence Board. The US was reluctant to include Commonwealth countries as equals and on occasions blocked intelligence sharing with them. 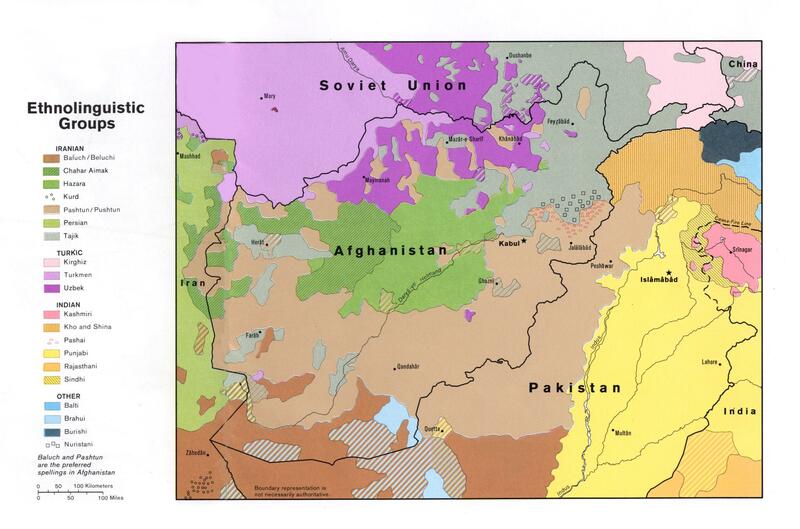 The 1946 agreement states the exchange of intelligence would not be "prejudicial to national interests". But, despite occasional rows, the eavesdropping network, sometimes referred to as Echelon, has expanded. Norway joined in 1952, Denmark in 1954, and Germany in 1955. Italy, Turkey, the Philippines and Ireland are also members. Documents released today contain thousands of intercepts from the Soviet Union but stop at 1949, as does the first official history of MI6, to be published in the autumn. Though GCHQ employs about 5,500 staff, significantly more than MI5 or MI6, its budget also remains a secret. Then sensitivity surrounding GCHQ operations is further reflected in its strong opposition to the product of intercepts being used as evidence in court trials, a ban which critics say would obviate the need for control orders and secret hearings but one which GCHQ argues is needed to protect the capabilities of its technology. GCHQ, the government's communications headquarters, is based in Cheltenham and grew out of wartime Bletchley Park where mathematicians, scientists and linguists broke the German Enigma codes. Israeli sources believe Hakan Fidan aided in orchestrating an intentional change in relations between Israel and Turkey. The Israeli defense establishment - and especially the Mossad's foreign relations department, which maintains ties with Turkey's national intelligence organization (MIT) - is concerned over the recent appointment of Hakan Fidan as head of that organization, and the implications of that appointment vis-a-vis Turkish relations with Israel and Iran. Ten days ago, Hakan Fidan, 42, a personal confidant of Turkish Prime Minister Recep Tayyip Erdogan, assumed the post of head of MIT, which combines the equivalent functions of Israel's Mossad and Shin Bet security service. Israeli security sources believe last week's the Mavi Marmara incident reflects an intentional change in relations between Israel and Turkey - orchestrated by Erdogan, along with Fidan and Foreign Minister Ahmed Davutoglu. There is no concrete information, however, regarding Fidan's involvement in the incident or his ties with IHH, the group that organized the flotilla. In meetings between intelligence officials and the local political leadership, it was noted that Fidan has close ties with Erdogan's Islamist party, and that during the past year he was deputy director of the prime minister's office and played a central role in tightening Turkish ties with Iran, especially on the nuclear issue. To date intelligence ties between Israel and Turkey have been good. In April the last head of MIT, Emre Taner, retired after a five-year stint. Erdogan appointed Fidan as acting head then, but he only formally took over late last month. Fidan served in the Turkish military for 15 years, until 2001, but was not an officer. MIT has extensive authority, in both internal security and foreign intelligence gathering. Its chief answers directly to the prime minister, although the law obliges him also to report to the president, the chief of staff and the country's National Security Council. Fidan completed a B.A. at the University of Maryland, and he completed his master's and doctorate in Ankara. His dissertation was a comparative analysis of the structure of U.S., British and Turkish intelligence organizations.After his military service, Fidan served in the Turkish embassy in Australia, and last year he represented Ankara in the International Atomic Energy Agency, where he defended Iran's right to carry on with its nuclear program for "peaceful purposes." With Davutoglu, Fidan formulated last month's uranium transfer deal between Turkey, Brazil and Iran. Apparently, he supports the idea of splitting MIT's authority into an internal and an external intelligence organization, like in Israel, Britain and the United States. It is reported that he intends to concentrate on "institutional" tasks and to work with an independent security service, one of whose main purposes is to deal with the Kurdish PKK organization - partly to deflect criticism of his appointment. In Israel there is concern Fidan's appointment will have a two-pronged effect: on one hand, that exchange of intelligence between the two countries will be harmed, and on the other, that Israel will have to limit the transfer of information to Turkey, out of a concern that it may be passed on to enemy organizations or states. German-Israeli relations sunk to a new low this week, after the German government rejected Israel’s call to drop a public investigation into the actions of a suspected Israeli spy. The alleged spy, whose travel documents identify him as “Uri Brodsky”, was arrested upon arriving in Poland on June 4. He is wanted by German prosecutors, not for directly participating in the assassination by Israeli intelligence agency Mossad of senior Hamas weapons procurer Mahmoud al-Mabhouh, as had been previously reported, but for procuring a forged German passport for the assassins. “Brodsky” appears to have traveled under the cover name of “Alexander Verin” to Cologne, Germany, where he employed the services of a lawyer to acquire the forged passport. It was later used used by Israeli Mossad agents to travel to Dubai, United Arab Emirates, where al-Mabhouh was assassinated. Since “Brodsky’s” arrest, Israeli authorities have been trying to stop the Polish government from extraditing him to Germany. They have also pressured the Germans to drop a public investigation into “Brodsky”, using a rarely employed law based on “overwhelming public interest”. But Berlin officials told German newsmagazine Der Spiegel that the government is “united in the belief that any investigation into ‘Uri Brodsky’ should be dealt with according to purely judicial considerations”. Meanwhile, on Sunday German cabinet ministers sharply criticized Israel for forbidding Germany’s minister for development, Dirk Niebel, to enter the Gaza Strip to inspect the progress of a German-funded humanitarian assistance program. The Israeli move prompted German minister of foreign affairs, Guido Westerwelle, to condemn it as “a big diplomatic mistake”. But a spokesman for Israel’s foreign affairs ministry said that Israel does “not allow senior politicians into Gaza because Hamas will manipulate such visits to gain legitimacy”. BERLIN – An alleged Mossad spy from Israel wanted in connection with the hit-squad slaying of a Hamas agent in Dubai has been arrested in Poland, officials said Saturday. The man, using the name Uri Brodsky, is suspected of working for Mossad in Germany and helping to issue a fake German passport to a member of the Mossad operation that allegedly killed Hamas agent Mahmoud al-Mabhouh in Dubai in January, a spokesman for the German federal prosecutor's office told The Associated Press. Brodsky was arrested in early June upon his arrival in Poland because of a European arrest warrant issued by Germany which is now seeking his extradition, the spokesman said, declining to be named in line with department policy. The spokesman had no estimate of how long it could take for Brodsky to be extradited from Poland to Germany, saying "the matter is now in the hands of the Polish authorities." If Brodsky agrees, the extradition could take a few days, but that isn't likely, the spokesman said. In Warsaw, Monika Lewandowska, a spokeswoman for Polish prosecutors, confirmed that the suspect, identified only as Uri B., was arrested at the city's international airport on June 4. She told the AP that the arrest warrant was made "in connection with the murder of a Hamas member in Dubai." The suspect appeared before a Polish court on June 6, and was ordered to remain in temporary arrest for up to 40 days, she said. Lewandowska had no information on his possible extradition. In Israel, the Foreign Ministry said without elaborating that it was aware of the man's fate. "At the moment, we're looking into that like any other Israeli who has been arrested, and he's getting consular treatment," spokesman Andy David said. Police in the United Arab Emirates said the elaborate hit squad linked to the Jan. 19 slaying in Dubai of al-Mabhouh — one of the founders of Hamas' military wing — involved some 25 suspects, most of them carrying fake passports from European nations. Dubai's police chief, Lt. Gen. Dahi Khalfan Tamim, has said he is nearly "100 percent" certain that Mossad, Israel's spy agency, masterminded the killing. The brazen assault in a luxury hotel and its alleged perpetrators were widely captured by security cameras. Some footage, released by Dubai's police, showed alleged members of the hit squad disguised as tourists, wearing baggy shorts, sneakers and baseball caps, and carrying tennis rackets. At the time, Israel said it didn't know who was responsible for the killing but welcomed it, claiming al-Mabhouh was a key link in smuggling weapons to Gaza and a possible middleman with Israel's archenemy, Iran. For Israel, the news about Brodsky's arrest comes at an already difficult time as the country is facing international criticism over its May 31 military raid on a humanitarian flotilla bound for Hamas-ruled Gaza that killed nine people. The German news weekly Der Spiegel reported that the arrest in Poland already has already led to some diplomatic friction. The Israeli Embassy has urged Polish authorities not to extradite Brodsky, the magazine reports in its issue to be published Monday. Germany's Foreign Ministry had no comment on the case and referred to an ongoing judicial investigation by the federal prosecutor's office. The country's top investigating unit deals with all cases affecting internal or external security, including terrorism or espionage. After a German passport was used by a person linked to the Dubai slaying, the prosecutor's office in February started investigating a possible connection to a foreign intelligence agency. Authorities in the western city of Cologne had issued a passport to a man named Michael Bodenheimer. A man using that name was among the assassins who killed the Hamas operative, according to Dubai police. In February, German Foreign Minister Guido Westerwelle urged a thorough investigation and said German authorities would do everything possible to support their counterparts in the UAE. If Brodsky's extradition goes through, however, it could put the government in Berlin — a staunch Israeli ally — in a difficult diplomatic position. Associated Press Writer Vanessa Gera in Warsaw and Amy Teibel in Jerusalem contributed to this report. Israel has been gripped by a guessing game over the identity of a mysterious prisoner being held in such secrecy that even his guards do not know his name. The elusive "Mr X" is being held for unspecified crimes and confined in total seclusion within a private wing of the maximum-security Ayalon prison. No one knew of his existence until the shroud of secrecy was briefly lifted after a story appeared on the Ynet news website, owned by Israel's leading Hebrew-language newspaper Yediot Ahronot. Quoting unidentified officials within the Israeli penitentiary service, it disclosed that Mr X was being held in Unit 15, a wing of Ayalon prison that contains a single cell. He is not though to receive any visitors and his wing is cut off from the rest of the prison by double iron doors. So hermetic are the conditions in which he is held that other prisoners can neither see nor hear him. Within hours, the story had vanished from the newspaper's website, allegedly after Israel's domestic intelligence service won a gagging order banning all media coverage of the case. The attempt to redraw the veil has had only limited success, however, with the disappearance of the story serving only to whet the interests of human rights activists in Israel, who have now launched a campaign to force the state to unmask Mr X and disclose his crimes. Dan Yakir, chief legal counsel for the Association for Civil Rights in Israel, the country's oldest human rights group, said: "There is no information on whether this person has been charged, whether he has been tried or whether he has been convicted." In a letter to the Israeli attorney general last week which has yet to receive a response, Mr Yakir protested the secrecy surrounding Mr X's detention. "It is insupportable that, in a democratic country, authorities can arrest people in complete secrecy and disappear them from public view without the public even knowing such an arrest took place," he wrote. Amid the intrigue and the silence of the domestic press, Mr X's cause has also been taken up by influential Jewish bloggers, most notably Richard Silverstein, a US-based commentator who has played a leading role in forcing Israel to drop gagging orders in recent months. While there has been little but speculation as to what Mr X may have done, there can be little doubt about the importance attached to him by the state for he is being held in the cell specially built to house Yigal Amir, the Israeli extremist who assassinated Yitzhak Rabin, the former prime minister, in 1995. But one Israeli security expert said that the secrecy suggested espionage rather than terrorism is likely to lie at the heart of the mystery. In 1983, Marcus Klingberg, a leading Israeli scientist, was jailed for 20 years for passing secrets about the country's biological warfare programme to the Soviets. But it was only after he had been in prison for a decade that Israelis heard for the first time about Klingberg's existence, arrest and conviction. Mr X is being held in the same prison as Mordechai Vanunu, the whistle-blower who revealed Israeli nuclear secrets before he was lured out of Britain by a Mossad honeytrap in 1986 and jailed for 18 years. Vanunu was sent back to prison last month for talking to foreigners, in violation of his parole. Israel's prison service has declined to confirm or deny the existence of Mr X on security grounds. Ancien compagnon de route de Paul Kagame avant le génocide et la prise du pouvoir, le général Faustin Kayumba Nyamwasa fut chef d’état major du Rwanda, puis directeur des services de renseignement, avant de se brouiller avec le président et de prendre le chemin de l’exil. Il avait rejeté l’accusation de corruption formulée contre lui et avait accusé en retour son ancien ami Paul Kagame d’éliminer tous ceux qui ne se plient pas devant lui. Il avait trouvé refuge en Afrique du Sud, où un tueur lui a tiré dessus à bout portant, le 19 juin 2010. Le général a été hospitalisé dans un état critique. Le gouvernement de Kigali a démenti toute implication dans l’attentat. Operation Plumbat was an Israeli covert operation in 1968 to obtain yellowcake (processed uranium ore) to support the Israeli nuclear weapons effort. France stopped supplying Israel with uranium fuel for the Dimona nuclear reactor after the 1967 Arab-Israeli War. In 1968 Israel managed to obtain 200 tonnes of yellowcake shipped out of Antwerp to Genoa for a European front company by transferring the ore to another vessel at sea. 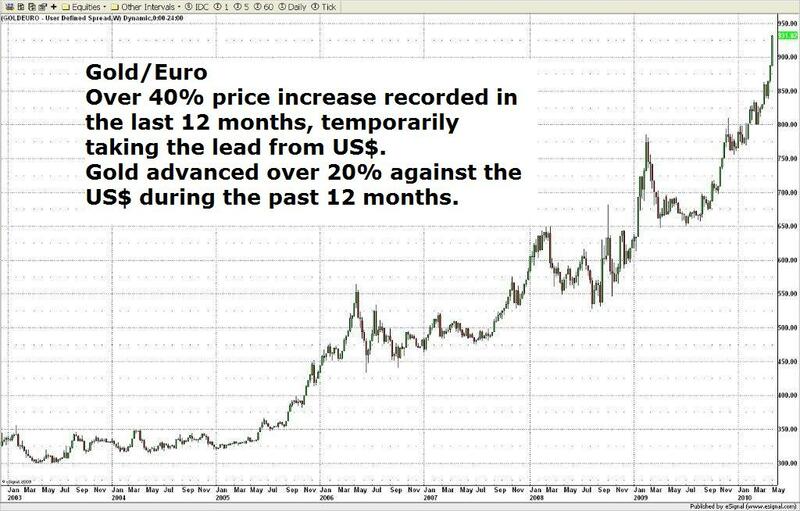 This Mossad covert operation violated Euratom controls of nuclear materials. The name of Operation Plumbat is derived from the Latin "plumbum", meaning lead, and is a reference to the labeling of the drums used to transport the yellowcake. There are many fiction books created around this incident, including the very famous Triple (novel) authored by Ken Follet. ↑ 1.0 1.1 "Uranium: The Israeli Connection". TIME. May 30, 1977. http://www.time.com/time/magazine/article/0,9171,914952-1,00.html. Retrieved 2008-11-02. ↑ 2.0 2.1 Victor Gilinsky (former Commissioner U.S. Nuclear Regulatory Commission) (May 13, 2004). "Israel's Bomb". The New York Review of Books. http://www.nybooks.com/articles/17104. Retrieved 2007-12-08. 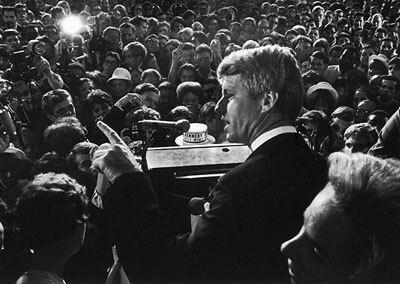 Victory in California: RFK greets supporters in the Embassy Ballroom, Ambassador Hotel, in Los Angeles, on June 5, 1968. 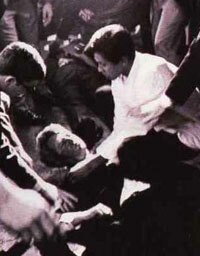 Robert F. Kennedy shot in Los Angeles on June 5, 1968. The Los Angeles Police Department engaged in massive destruction of evidence from the pantry of the hotel because "it would not fit into a card file". JFK at Bethesda Hospital. The throat wound had changed from Parkland Hospital, where it was a small, clean puncture wound of entry with a straight-line incision. November 22, 1963. 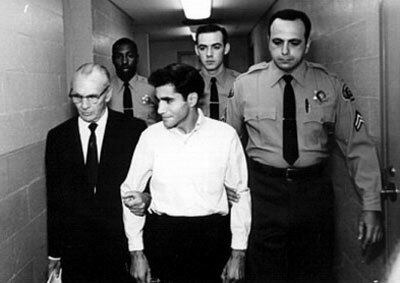 Sirhan Bishara Sirhan was convicted and sentenced to the gas chamber on May 21, 1969. In 1972, his sentence was commuted to life in prison. Years later, a forensic investigation concluded that Sirhan Sirhan was not the lone shooter. 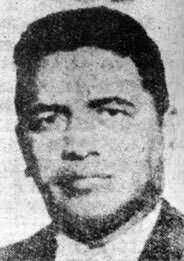 Thane Eugene Cesar, security guard, a prime suspect in the shooting of Robert F. Kennedy. CIA operative David Sánchez Morales, who is suspected of having participated in the murder of both brothers. Wayne Smith, who served as an ambassador with the Department of of State from 1957-1982 with JFK’s Latin American Task Force, also knew Morales . 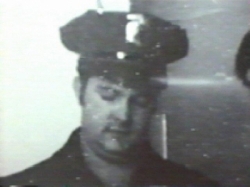 When he viewed the same footage as Ayers, he immediately recognized Morales. As he later told Shane O’Sullivan, “Bobby Kennedy is assassinated [and] David Morales is there? The two things have to be related” . 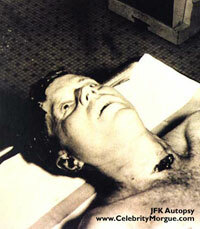 Dubbed as the “Moorman Polaroid”, the picture captures the moment when President Kennedy was shot. Malcolm Perry, M.D., who had made the incision, described the throat wound as a “wound of entry” three times during the Parkland press conference, which began at 2:16 PM . The Warren Commission would cope with these problems by simply reversing the trajectories, turning the throat wound into a wound of exit, where the damage to the cranium was altered to make it look more like the effect of a bullet fired from above and behind . A downward bullet at this location means that the throat wound and Connally’s had been caused by other shots and other shooters . Michael Baden, M.D., who chaired the medical panel for the the House Select Committee on Assassinations (HSCA), when it reinvestigated the crime in 1977-78, said, on the 40th observance of the assassination, that if the “magic bullet” theory were false, then there had to have been at least six shots from three directions . 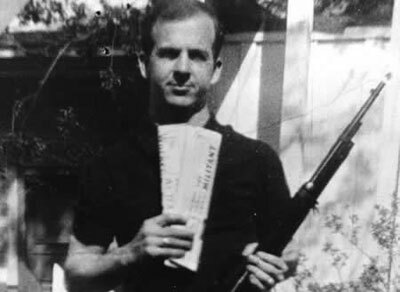 Lee Harvey Oswald framed for the assassination of JFK, where this photo was part of the operation. See Jim Fetzer and Jim Marrs, "The Dartmouth JFK-Photo Fiasco" (google). Even if the weapon had been far better, such as the M-1 on which he had been trained, the shots themselves were highly improbable. The interactive internet game, “JFK: Reloaded”, which used a superior weapon with a properly aligned sight, a smooth trigger action, and no recoil and allowed endless practice sessions before attempting to hit the target, was won by a shooter who scored only a .782 out of 1.000, so he only scored a "C+" in attempting to replicate the shots . Bobby, JFK’s Attorney General, was aggressively cracking down on organized crime. Jack was going to reform or abolish the Federal Reserve Bank (Fed) and, perhaps most of all, he was going to shatter the CIA into a thousand pieces. Lyndon wanted to be president of all the people and J. Edgar Hoover wanted to stay on as Director of the FBI. No one could have explained all of this as well as has James Douglass . In addition to other activities, James H. Fetzer is also the editor of assassinationscience.com and the co-editor of assassinationresearch.com. He has a blog at jamesfetzer.blogspot.com and his academic web site is found at http://www.d.umn.edu/ jfetzer/. 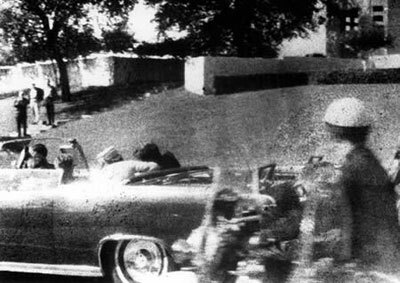 "NOVEMBER 22, 1963: The Kennedy Assassination", NBC News DVD, Parts 1 and 2.